I have a lot of down time right now because I have been instructed to rest until my surgery date. In my downtime I have been doing a lot of recipe research. 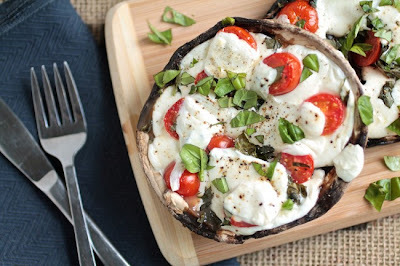 I found these lovely Portobello Mushroom Pizzas from Life as a Strawberry. To get the recipe, simply click the link and show the author some love. Catering our oldest daughter's wedding.